Upper Cervical Chiropractic Care has been the answer to many mechanical disorders in the human body, and Redmond chiropractors are one of the most competent and effective health care outfit who carry out Upper Cervical Chiropractic Care like no other. Recently, there was a research which shows the connection between blood flow from and to the brain and upper cervical spine and how much of an important factor is trauma to the brain can induce condition such as Migraine headache. Another research by the Upper Cervical Research Foundation in conjunction with Phase Contrast Magnetic Resonance Imaging (PC MR) discovered in their research which demonstrated that a change in blood flow from the brain in Migraine patients and how all Migraines went away when the upper neck misalignment was corrected…they stated “These results coupled with previously documented normalization of blood pressure in a randomized, double-blind study indicate a casual physiologic and measurable effect occurs after the correction of an Atlas misalignment….Possible Atlas misalignment interaction with the Trigeminovascular System via decreased intracranial compliance may produce neural influences on cerebral circulation as proposed by Dr. Goadsby providing impetus for further study…”. However, migraine headaches increases the risk of females having a stroke by 26 – 50%. The study, which was conducted by the Greenwich Connecticut Hospital reveals that vascular spasms that occur during migraine headaches can result in stroke as the spasm constricts the blood vessels thereby limiting the flow of oxygen to the brain. I believe out of the 3 million population of Americans who suffer from chronic migraine, the little percentage who live here in Redmond will want to find a cure as fast as possible. This is where we Redmond chiropractors come in. We are charged with the responsibility of saving the few of the American population here in Redmond who are suffering from migraine headache with upper chiropractic care. As Redmond WA chiropractor, we have also made our own discovery, and we have identified the various headaches to be as a result of the alignment of the upper neck spinal bones in relation to the skull. If the cervical vertebrae, which is the topmost bone of the spine is misaligned or moving inappropriately, this can cause irritation to the nerves of that region which may trigger headaches. I will quickly tell you why these vertebrae become misaligned. It could be as a result of a bad posture adapted to since when you were a kid right to adulthood. Also, the way many people sit at the desk at work for long hours (try office ergonomics), and it can also be as a result of a difficult birth process. Not leaving out the fact that trauma could also be involved, which could be due to an auto crash or during the days of youth soccer. These incidents can cumulatively result in misalignment of the upper cervical vertebrae resulting in headaches. However, our profession as Chiropractor Redmond WA is in a distinct manner to help those who are suffering from Migraine headaches. Our Redmond Chiropractic care specialists have the skill set and training to look at the skeletal misalignment, muscular system and nervous system to figure out how to fashion a treatment for migraine patients. 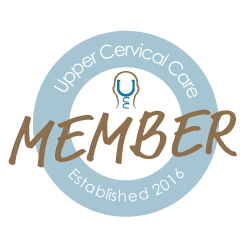 The way we carry out Upper Cervical Chiropractic Care corrects the moving vertebrae without the use of medications or traditional treatments bringing a speedy recovery to migraine patients. You don’t have to worry or have doubts about how effective our methods are, we offer the best treatments, and there are lots of testimonies. To schedule a complimentary consultation call 425-437-9974 or just click the button below. Justin Schallmann is the Owner and Founder of Back In Balance Chiropractic, a NUCCA chiropractic center in Redmond, WA. He is also the sole author of this Chiropractic blog. You can follow him on Twitter @redmondchiro and on Google+.